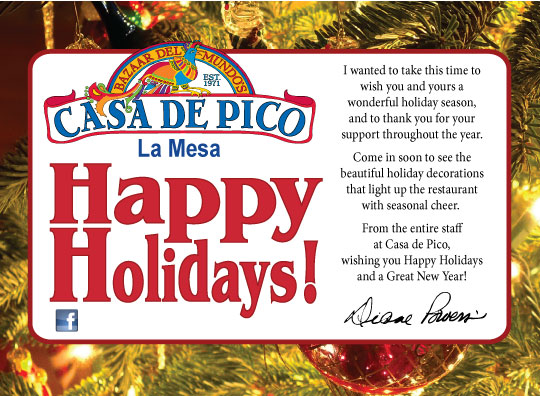 Happy Holidays from Diane Powers and All of Us at Casa de Pico! You’re Invited! 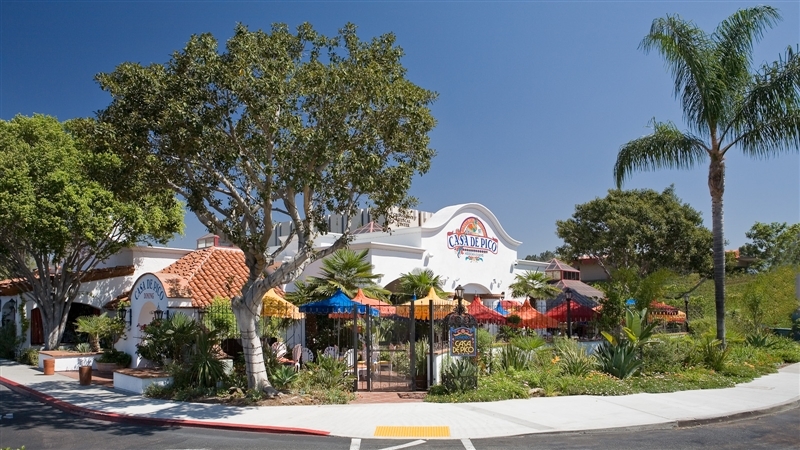 Our 40th Anniversary Celebration is Next Weekend November 4th and 5th. We’ll Be Looking For You! 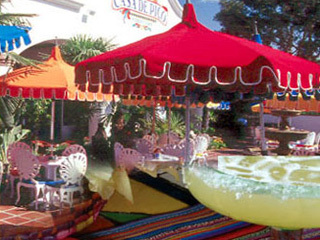 The loyal customers of Casa de Pico will be treated to a 40th celebration not to be forgotten, featuring authentic Mexican dancing, music and the best Mexican food this side of Casa Guadalajara! To celebrate this very special occasion, we’ll be offering appetizer-size servings of the Cheese Crisp – one of our most popular items ever – at the 1971 price of just $1.65 throughout the month! What a steal-what a deal! 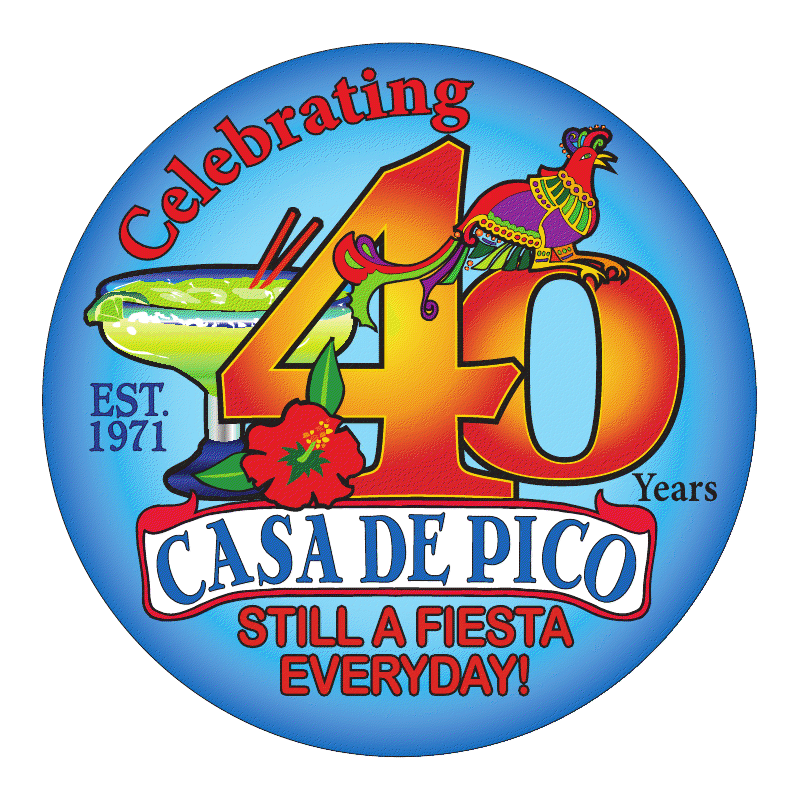 While you’re here pick up a commemorative Casa de Pico badge (while supplies last-so get here early) as well as purchase a special one-of-a-kind 40th Anniversary T-shirt designed by our founder and the wheel that makes us turn out quality every day: Casa de Pico Owner Diane Powers. Mark your calendar right now for November 4th and 5th. Let’s Celebrate!